Art inspires and so does Nature. Combine the two and you have beauty all around. 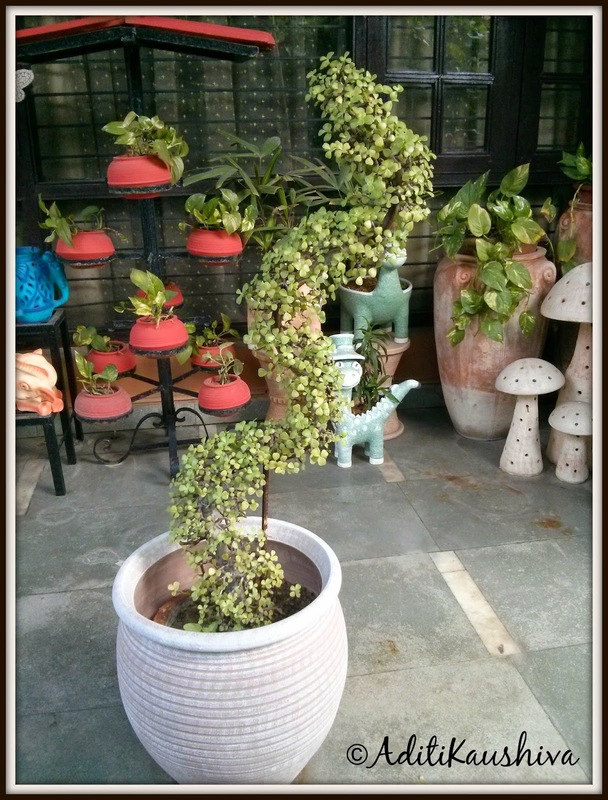 Harpreet Ahluwalia founder of Earthly Creations, lives, breathes and spreads such beauty. I happened to meet the charming lady while on search for few indoor plants for my home. My mom knew just the place! 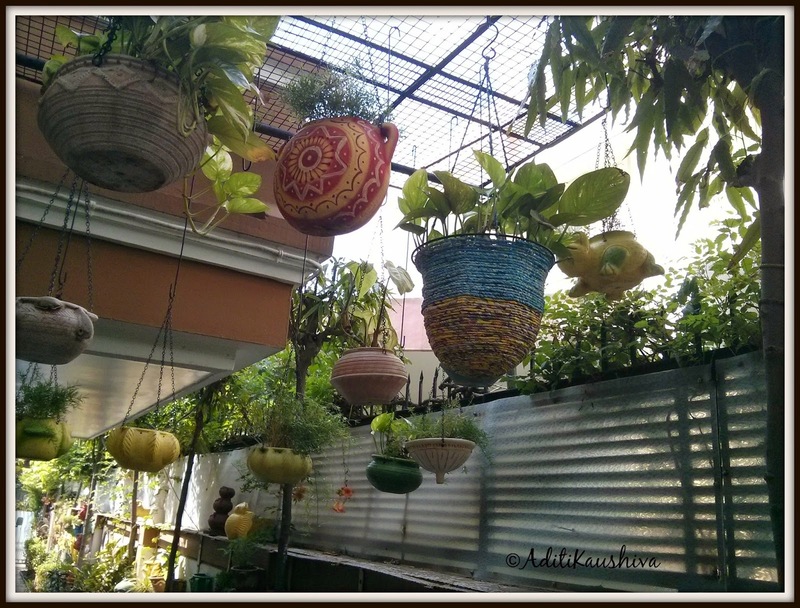 A sleepy Saturday afternoon soon turned into a creative haven as we entered Harpreet's lovely abode. 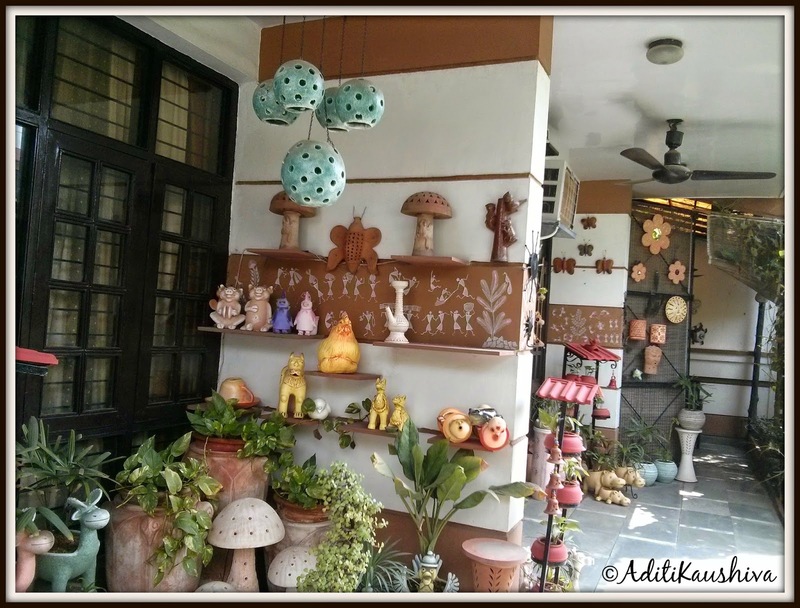 Hundreds of plants along with garden accessories, mostly animal-shaped planters greeted us and like a child, with eyes wide open in amazement and admiration, I lapped it all up. 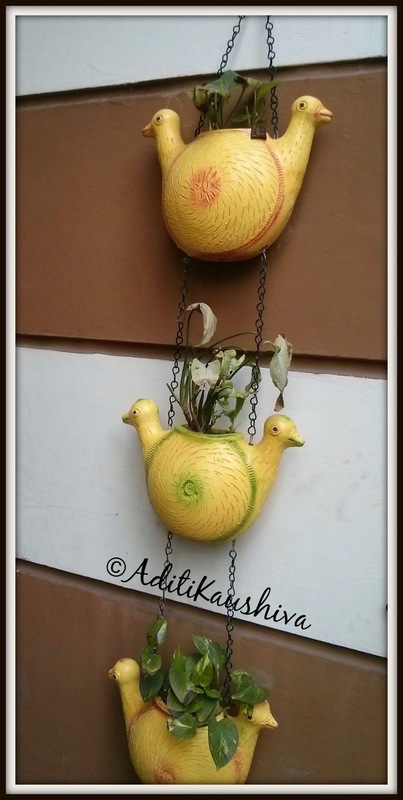 The person behind this artistic delight was even more lovely than her creations. Ever-smiling, humble, friendly and polite, Harpreet stood with us the entire time, helping us choose our planters. This warm engagement, inspite of her having a terrible backache which she was nursing just before we had come in. For a flower show once, she got a roadside potter to custom design few pots for her and that was when an idea struck her. Every passionate gardener tended their plants with care making them look beautiful, but she felt the need for something more. Hence a decade back, Earthly Creations was born. Initially she took her ideas to local potters, but the need for good mud and clay led her to navigate many villages far and wide. Today she has about 40 potters, across 5 states, who understand and speak her language of creativity. 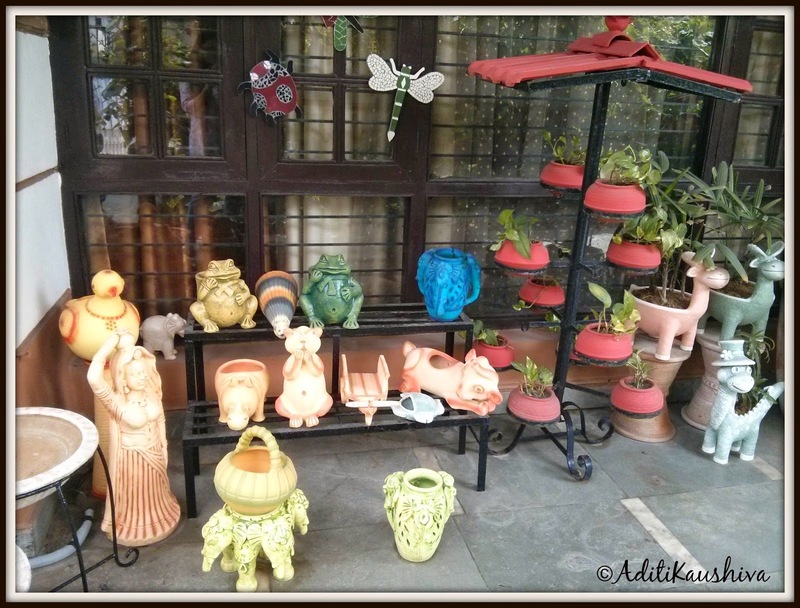 As we spoke, she recalled how her husband used to get mad when she unaware of her surroundings sat along with potters by the roadside making unique terracottas. Today I was inspired, not only by her green aesthetics but also by her rosy personality. More power to her and many like her who dare to follow their passions and make enterprises out of their hobbies! Beautiful items, and the peacock you ended up with is absolutely gorgeous! Thanks for sharing! I loved the place! 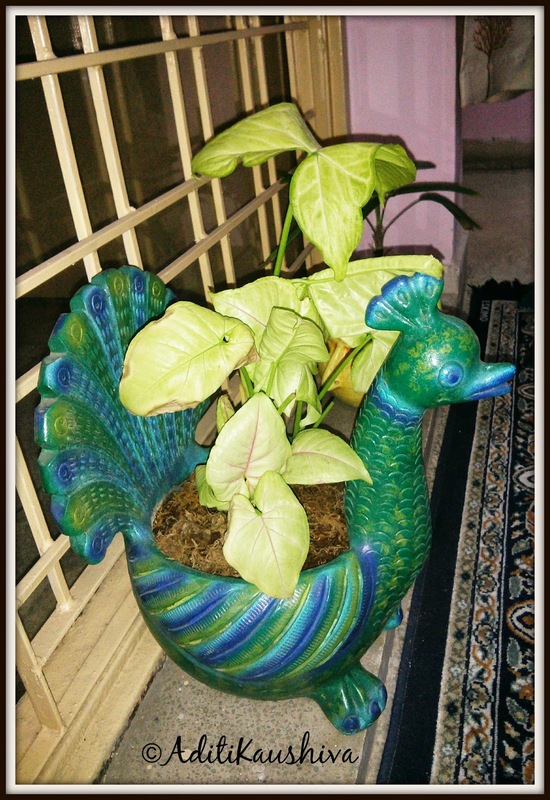 Had a hard time choosing from all the wonderful pots, but I'm really happy too with the peacock! I love those people who can marry their passion with life. Beautiful creations and I wish Harpreet all the best. I know Jayanta! Full of admiration for such people! Sure do! Don't have much of a green thumb but I so love to have green indoors! Following passions and embracing nature - that's the ticket! 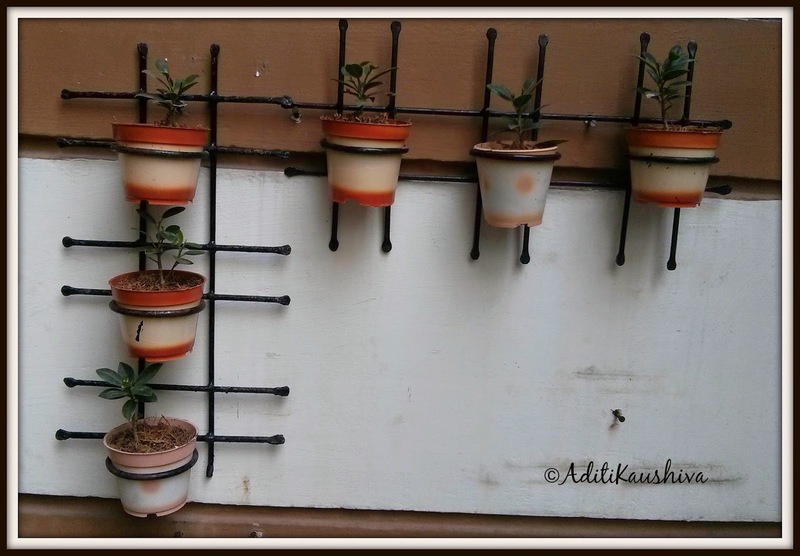 Glad you found what you were looking for, Aditi! 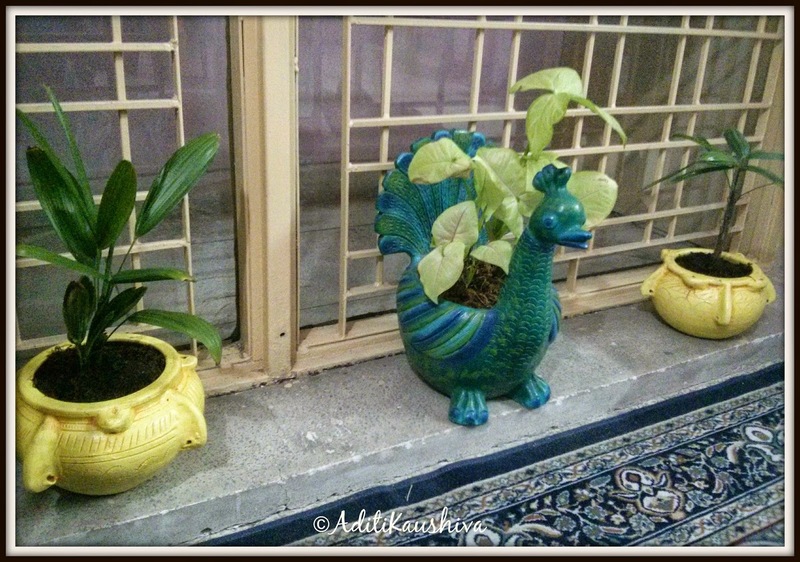 I love the peacock planter. Earthly Creations sounds like a heavenly place. Thanks for sharing. I am sure Harpreet will be delighted to read this! You have captured it so beautifully & what u have picked up from there is just too good! Oh what lovely stuff, Aditi. I went off to check the site and I'm glad I can order some! Thank you for sharing! Green is beautiful, nature is beautiful and even more so is someone following their dreams. Chk her website, hope they have the option to ship internationally! She is a beautiful person, you could mail her too! All the creations look nice. Haha...u shud get one too then! Such lovely items and the story is also inspiring. That peacock planter is gorgeous!